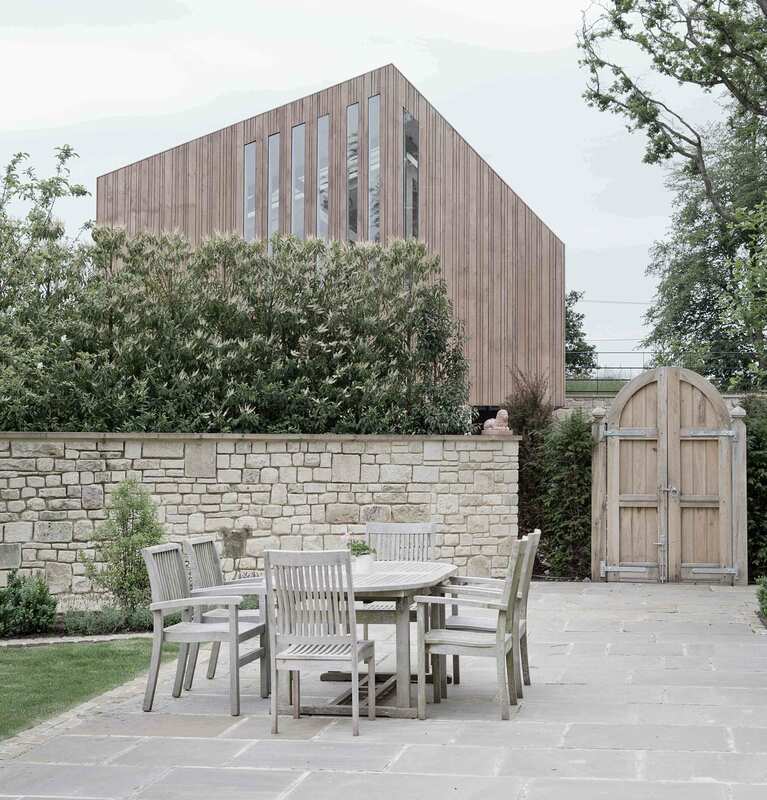 Richmond Bell Architects were commissioned to design a new outbuilding in the grounds of the Old Rectory in Tisbury, Wiltshire. 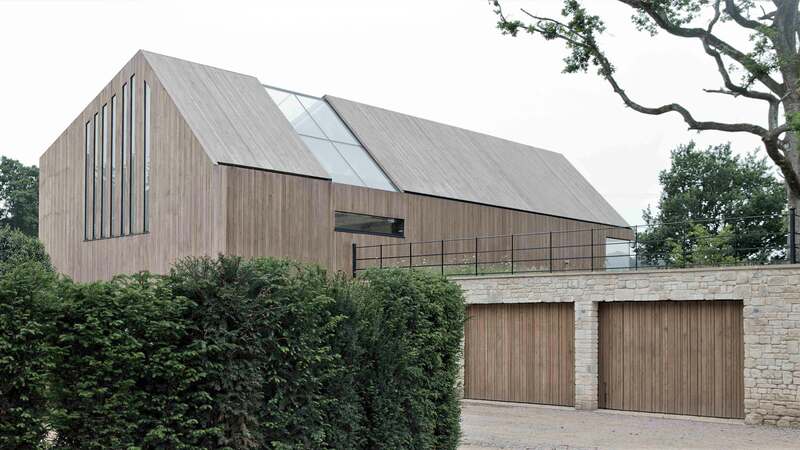 The brief was to create a contemporary Pool House and Pilates studio, and on the lower level provide 3 large garage bays and extensive plant areas which house the Biomass boiler and pellet hopper. The Pool House also includes a gymnasium with corner glazing, a steam room and changing area with shower and WC. 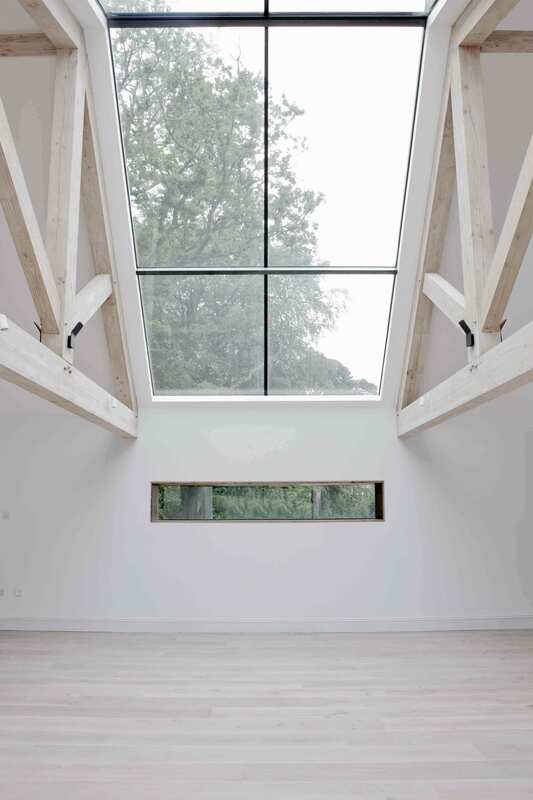 The design of The Studio relies upon the asymmetrical form of the Pool House which sits upon the natural meadow roof of the garages. The landscape rises up above the ground floor which helps reduce the overall massing of the building, and provides a contrast to the contemporary structure above. 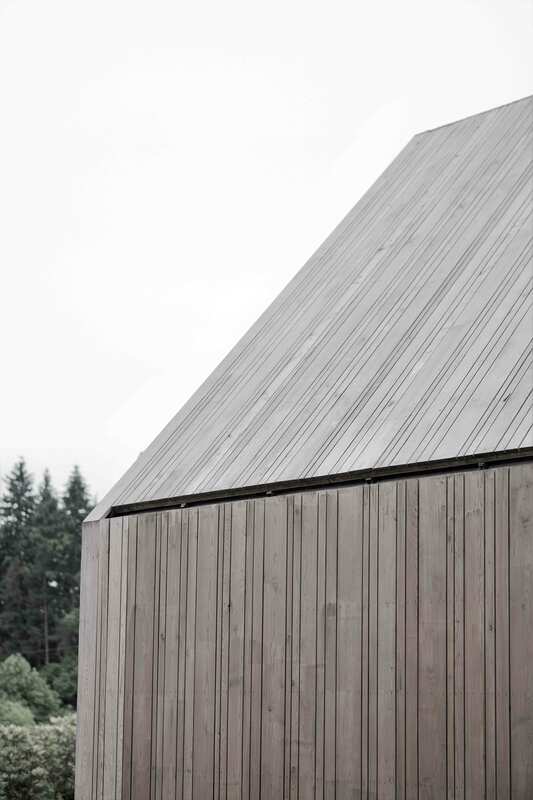 The new form of the building is enhanced through the materials and detailing of the timber cladding, which wraps over to clad the roof. 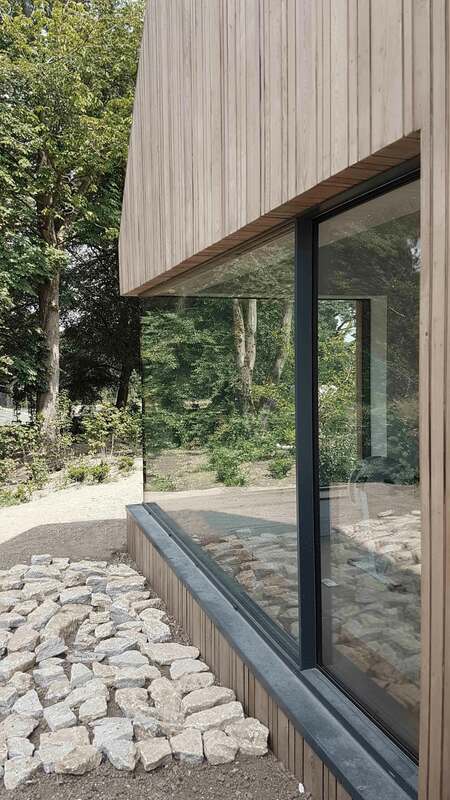 The cladding also conceals the gutters and rainwater goods which help emphasise the sharp, clean lines of the Studio. This new-build relies upon modern construction techniques and renewable energy sources which provide the building with an environmental edge. The structure comprises of SIP Panels (Structural Insulated Panels) and Glu-lam trusses. The timber clad roof helps conceal over 85 sqm of solar panels, which provides the client with a high-performance building. The asymmetrical trusses extend through the building to form the pergola to the pool, which spans the length of the building. The landscaping around the pool and Studio help contextualise the building while providing the client with entertaining and al fresco dining areas.